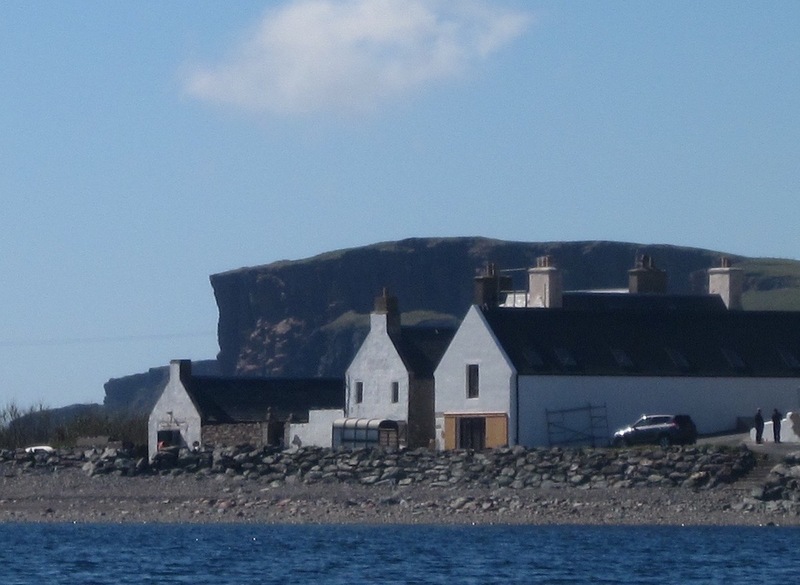 A HISTORIC building in Hillswick has been given a new lease of life as an art gallery. 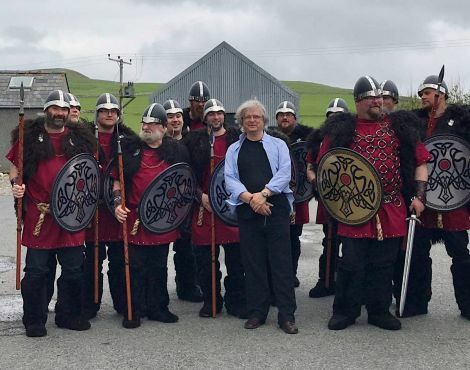 The waterfront building known locally as ‘da store’ or ‘da muckle store’ has been renovated by Geoff Jukes, who works in the international music business and has been a regular visitor to Shetland for over a decade. 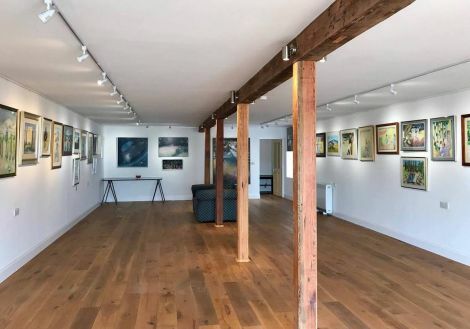 It will primarily house artwork created by his late partner Jeannette Obstoj, who died in March 2015 after a short illness. Obstoj was also a well known video maker and lyricist who wrote songs for Tina Turner and Dusty Springfield. The Weaving Shed Gallery will be available on an appointments basis and there will be opportunities for artists in residence to use space. It was informally launched in Hillswick on Sunday with live music and a visit from the Northmavine jarl’s squad. Construction work on the listed building, which was in “bad repair”, began last summer. Jukes said the idea to create a gallery in Hillswick came almost by chance. “I had been coming up here with my lady for about 12 years, and we spent most summers in this part of the island, usually around Eshaness,” he said. “I want it to be a place that’s very alive,” Jukes said. It is thought that the building, which was first connected with the Hanseatic merchants, may have been built in the late 18th Century. It was largely used as a store before it was enlarged in the 19th Century to include an upper floor. In the 1900s the first floor was used for a wool-broking, weaving and knitting business by WS Manson and Co, while in 2009 the nearby Hillswick shop – and the store – was bought over by Northmavine Community Development Company.